As Provo residents we are nestled comfortably around one of nature’s greatest ideas—the canyons. Canyons provide spectacular scenery, host the sporting activities and provide us an opportunity to get away from hectic urban life. While you are visiting the mountains does your mind wonder over the unique rock structures? If you are creative and you look long enough you can see images in the mountain not apparent at first glance. The local Indian tribes thought Mt. 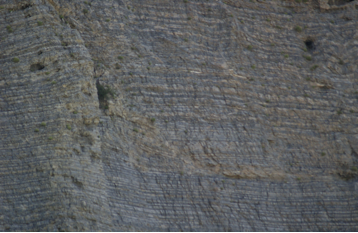 Timpanogos possessed a female spirit and the outline of the mountain ridge looked like an Indian maiden lying on her back. 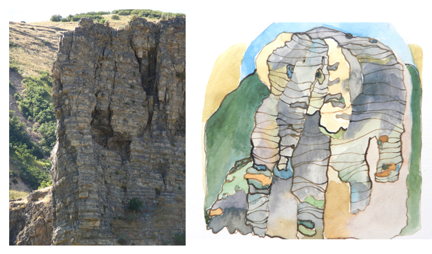 I see elephants in the rock structures when I am visiting Provo Canyon. The rock formations have a grey color with rough textural lines similar to an elephant’s skin. Photographer Jim McAllister of Demetrius Mac Wildlife Photography took shots of the structures I am describing and local artist Ashmae drew the renderings filling in the details of the elephants to illustrate the concept for you. And my personal favorite, a single elephant in a charming pose. Have you ever seen the elephants of Provo Canyon? Are there other images you see when you visit our canyons? I would love to hear your comments. Wow, I really can see the elephants! Especially the texture from the rocks! I can tell the person who found these elephant formations is very creative. Great work on the water colors too! WOW!!! I can SEE the elephants!!! What a great discovery!!! It’s so amazing!!! I love that!